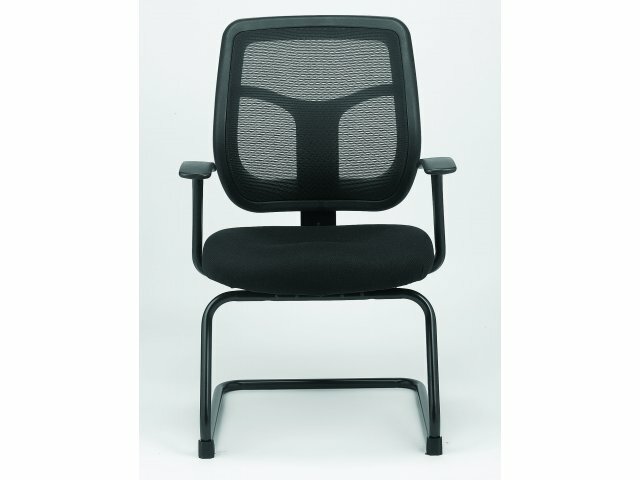 The Apollo Guest Chair ensures that your potential clients and colleagues have a comfortable meeting experience. 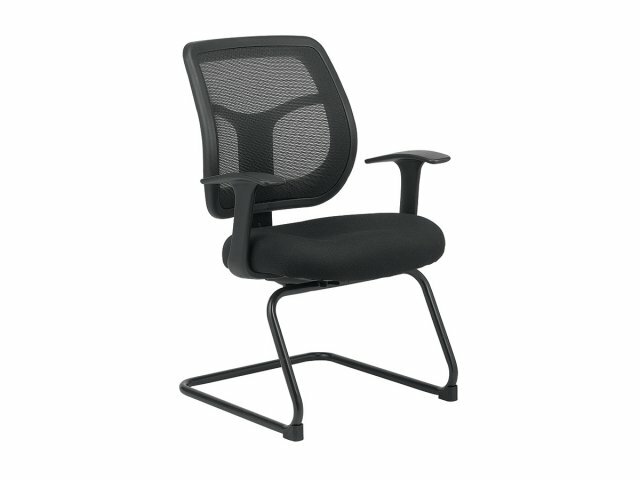 Its sleek, professional design coordinates perfectly with modern office furniture. A breathable mesh back promotes proper airflow, while the matching, padded, waterfall seat provides proper support. 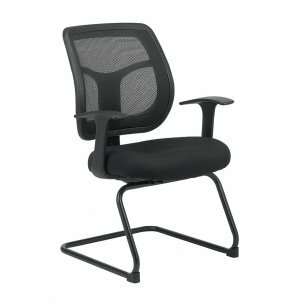 This guest chair is an ideal choice for a professional who often hosts team members in his/her office. The built-in armrests allow visitors to really get comfortable. The high-class design includes a contemporary cantilever base, which maximizes legroom. When it comes to choosing an office side chair that will show your visitors you really care, the Apollo should be on the top of your list. Perfect Match: Coordinates beautifully with Apollo Task Chairs. Supportive Seat: Padded, contoured, waterfall seat keeps your guests comfortable. Breathable Back: Mesh back promotes a healthy airflow. Enhanced Comfort: Armrests add another element of support for your visitors. Modern Style: Supported by a sleek, contemporary cantilever base.